YOGABODY Handbook (Print) – the definitive guide to maximum flexibility in just 15 minutes per day. Used by 10,000+ students worldwide with amazing results. 5-day per week stretching schedule 3 poses per day, 15 minutes per day (min.) Simple, powerful, nothing but the most-effective stretches for fast, safe results. 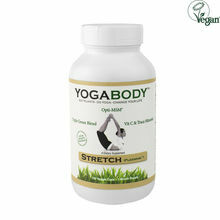 YOGABODY® Handbook has been added successfully to your wishlist. YOGABODY Handbook (Print) – the definitive guide to maximum flexibility in just 15 minutes per day. Used by 10,000+ students worldwide with amazing results. Simple, powerful, nothing but the most-effective stretches for fast, safe results. Purchase either the e-Book (instant access!) or get a physical copy of the book! I love your podcasts, and wonderful yoga videos. I am 70 and teaching. I am a retired Nutrition Consultant and Colon therapist, and can commend you with the great accuracy and valuable info you provide! I can feel a huge difference! 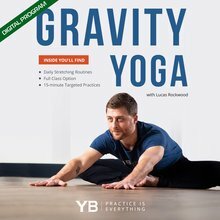 Thank you for all your mails and for the YOGABODY Handbook…the Gravity Poses are amazing. After just two days of doing them, I can feel a huge difference! Can’t wait for day three today… ?? The YOGABODY Handbook totally changed my attitude and practice. I was amazed at how up-front Lucas was and found that he is absolutely right. Flexibility is not gained in yoga classes but by doing gravity poses…yin style. I am more flexible now than I ever dreamed I would be. The combo of gravity poses and an alkalizing diet (once vegan…now mostly raw) is life changing.